Author and Twin Oaks founder Kat Kinkade always wanted identical dishes in the communities she founded, but she never go them. She wanted it because she thought it would be nicer aesthetically. And part of her felt badly that we were not sufficiently well off that we could have matching plates (which is a bit of nonsense since we budget well over a quarter million dollars annually on all manner of things). But the communities were unwilling to replace the yard sale dishes we had mostly acquired for free with anything which actually costs money. Some months back we got many dozen identical institutional plates and bowls. These we simply dropped into the dish supply and have been an important fraction of the total since then. I think the mismatched plates have character. But for different reasons i lean towards Kat’s thinking on this issue. 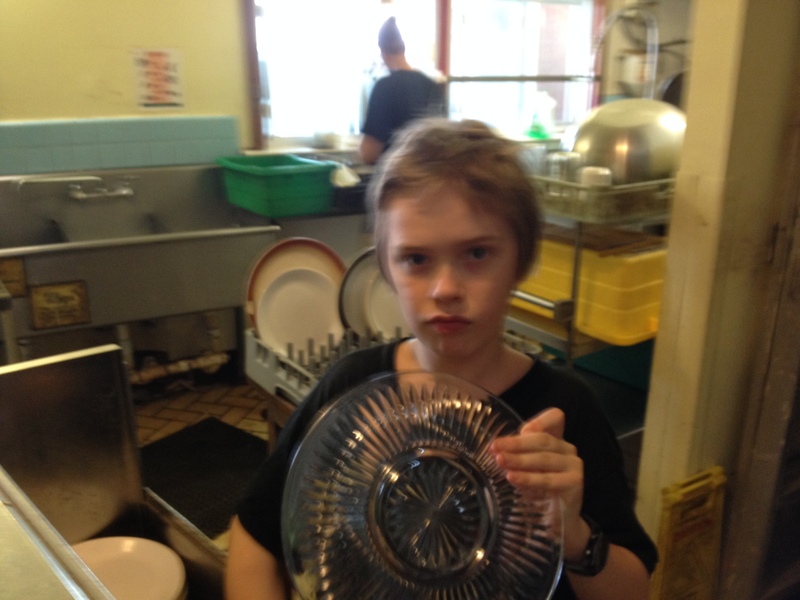 The Star family does lunch clean up on Tuesdays. 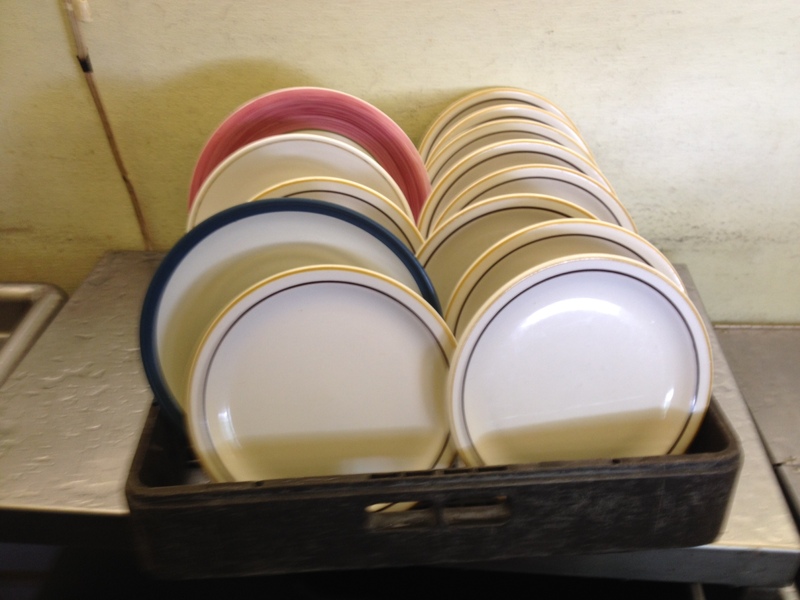 And one of the thing i noticed this week was that uniform dishes clean easier. They stack better, they take up less space in the sink while rinsing. They can be handled more quickly (larger stacks can be moved easily). Just a tiny peek into the commune world. I totally agree, for both reasons cited. I am personally a believer of identical dishes, but have found that WHICH identical dishes are procured can be a source of a surprising amount of contention. There’s the reasons you mentioned, but the biggest one for me is that they take up a lot less space in storage as well.